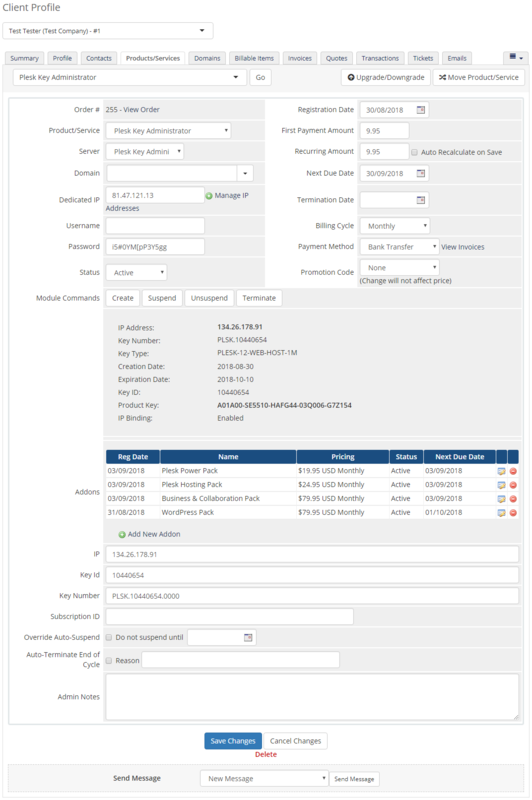 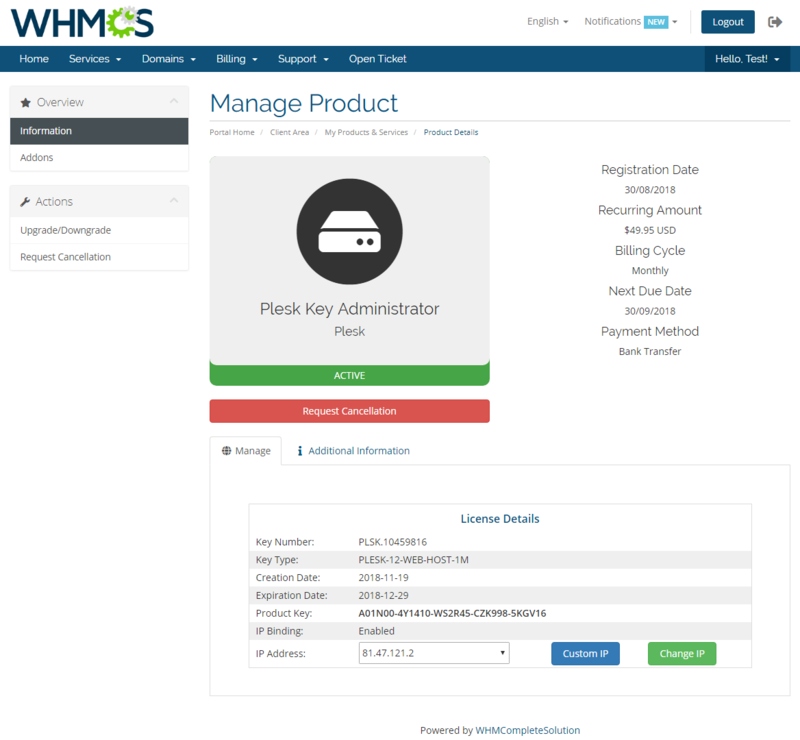 Plesk Key Administrator For WHMCS will allow you to provision all kinds of Plesk licenses entirely via WHMCS. 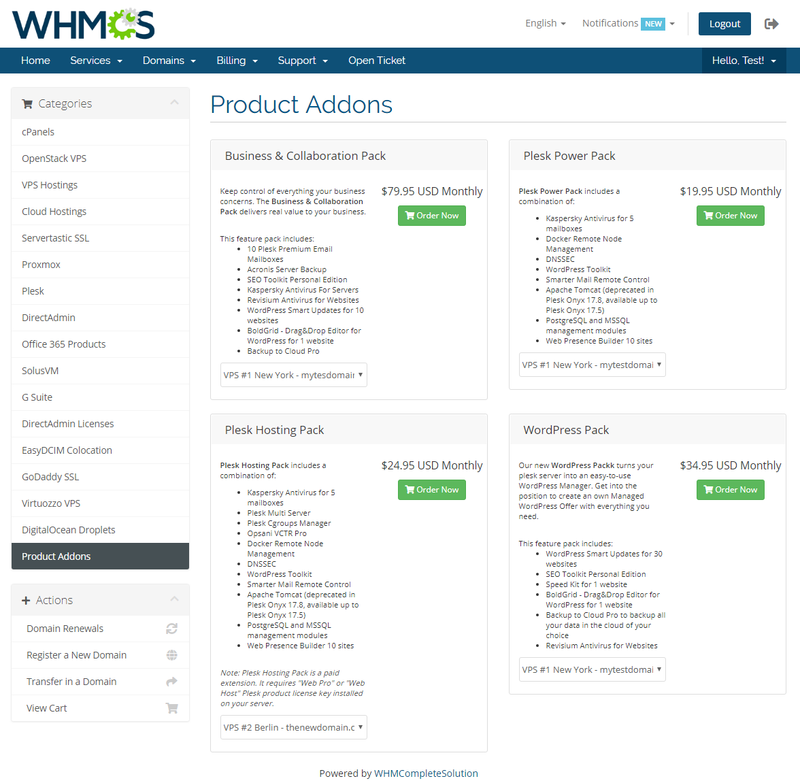 Your clients will be invited to choose from among the licenses of Plesk, Virtuozzo, CloudLinux and many other no less respected providers! 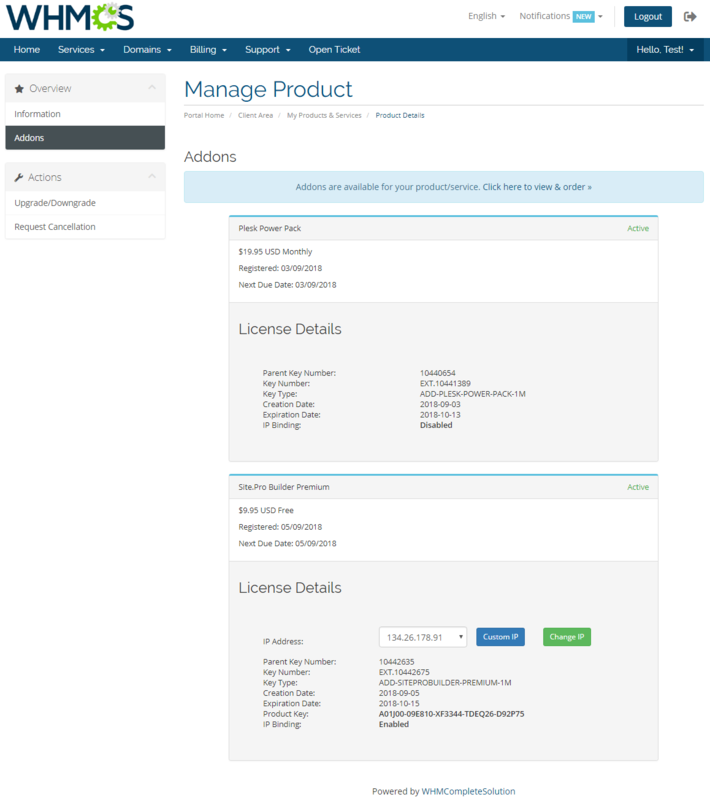 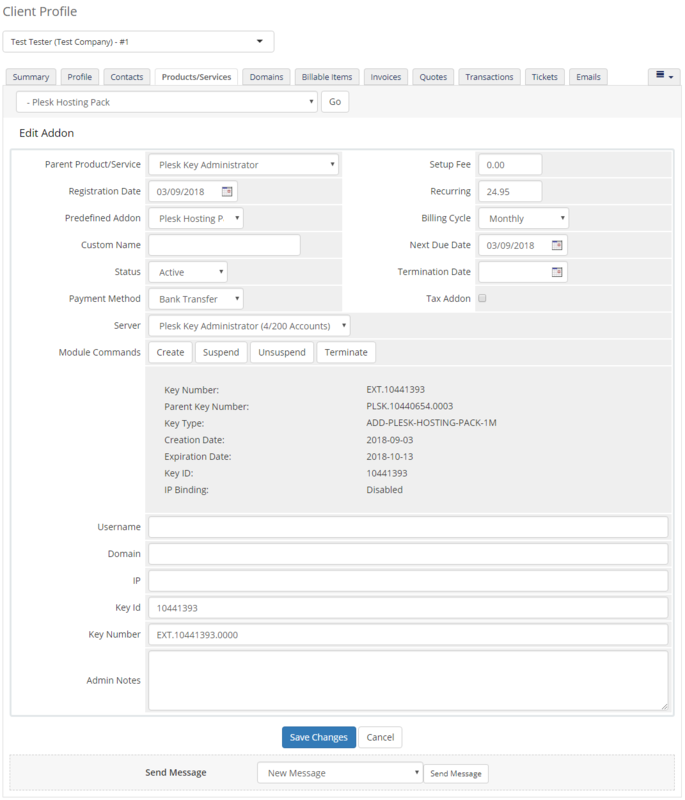 Importantly, the module supports all Identifiers and Keytypes included in Key Administrator Partner API. 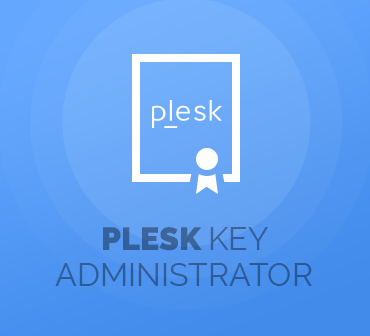 Nice to be able to auto-issue Plesk licenses for our Virtuozzo VPS via Plesk KA.